Dallas Home Inspector is the authority source for both buyer and seller inspections in the entire Dallas and Fort Worth Metroplex. We quietly inspect homes valued in excess of $1 million, arming potential buyers and sellers with facts, protecting agents from unknowns, and improving the quality of real estate transactions for all parties involved. Are you a Doctor, Attorney, or CEO / C level professional in DFW building a custom home? You will want to partner with us to ensure the job is done correctly at all phases of construction. How does your inspector measure up? You may be surprised at the breadth and depth of our services when compared to the competition. We are not your run of the mill home 'reporters', we are authorities in our field and our findings bear the stamp of an engineer. Our findings cause builders, insurers, buyers, and others to take action. Thank you for putting your trust in us to provide you with the most comprehensive home and building inspection possible. 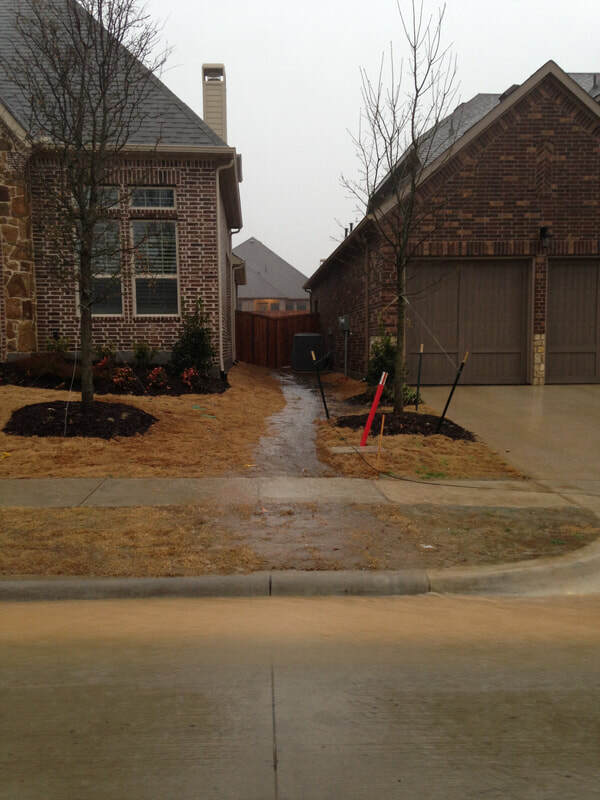 We are a reputable professional engineering firm that specializes in Dallas home inspector services. We have been serving the Dallas and Fort Worth Metroplex for over 20 years, and have provided over 6,000 commercial and residential inspections to date - with an A+ BBB rating. We are not a low cost inspection service. We believe your home is likely to be one of the largest investments you will make in your life. Presumably, you will want to ensure your investment is free from defect. Upon completion of our inspection, you will be armed with a thorough report that carries enough information and weight necessary to negotiate a successful transaction. If you desire a low cost inspection, we respectfully recommend you reach out to another firm with less capability, experience, and credentials. Here's a handy guide to choosing a home inspector in Dallas. We are experts in our field, and provide superior inspection and engineering services at competitive rates. Our goal is to be your advocate in making sure your property is built to last. We will provide you with professional reports including photos and videos. You will be fully informed and educated on the condition of the property so you can make intelligent decisions regarding purchasing, repairs and maintenance of the property. We are often asked, what do home inspectors look for? Our engineers are equipped with the latest in technology to spot latent issues that are not otherwise visible. Engineering is in our blood! You will understand once you see our crew in action and review our evaluation. In this type of inspection we come along side you as the buyer, and inspect your new home at every critical phase of construction. We basically keep your builder on their toes, and make sure they cross ever “T” and dot every “I”. This ensures that your new home is built correctly at all phases of the construction. During each phase of the building process where we step in for the inspection, you will be provided with a very detailed report by our engineers that will include photos, and videos to document our findings. If we find any issues during the inspection, we also provide documentation to your builder so these issues can be corrected prior to them moving on to the next phase of the construction. ​Having a multi-phase inspection ensures you that your home is constructed as well as possible from the first day. As you search for a Prosper home inspector, a Frisco home inspector, a McKinney home inspector or an Allen home inspector, you will find many companies who perform a home inspection. Why are we the best choice for your home inspection? Your home purchase is a huge investment, and it is our job to do our best to protect you from major defects. Our value add comes from our Texas licensed Professional Engineering experience. Few other inspectors have the credentials and experience we do. If you are purchasing a larger home you'll want to ensure your investment is sound. We argue, only an engineering inspection arms you with the full spectrum of issues that can be detected. Our crew are prepared when we arrive at the home and we're proud to be working on your behalf. We will record all our findings for you, help you understand the implications of the findings, and direct you as necessary to a corrective resolution. We cite the NEC and or local building code violations in our reports. The report is clear and easy to understand. Upon reviewing our findings, you will be armed with the facts needed to negotiate on the price of the home. For personalized service, please call us now to schedule an appointment. Did your home inspector check the air conditioning units? Are you going to rely instead on a home warranty as your insurance policy in case of failure? What if the units were not properly installed or engineered at the time of build or replacement? Engage a professional engineering team to perform a full inspection from foundation to plumbing to air conditioning and heating to the roof. Ask us about our team approach to inspecting your home. Find out about this before it happens. Invest in an engineering home inspection. This is one of our favorites, and can be very beneficial to you as the homeowner. As you know when you have a new home built, it will come with a pre-determined warranty by your builder. Often times, people do not pay attention to this warranty date, and by the time they realize there is a problem the home is out of its warranty period and you are on your own for any repairs that are necessary. With our End of Builder Warranty Inspection, we come in near the end of your warranty period and inspect your home. As with all of the other types of inspections we do, you will be provided with a detailed report compete with photos, and videos to document our findings. As always we will then send a copy of these documents to your builder so they can come out and fix any of the issues on your home before the warranty expires. If you are proactive with this type of inspection, you can literally save yourself thousands of dollars by eliminating issues prior to your home going out of warranty. Homeowners love this type of inspection, but I have to be honest, it is not a favorite by most home builders in the area. With so much shoddy construction work done around the metroplex, simply good enough to pass city inspection, we often times find issues that would have never passed audit if we had been called in during the building of the structure. None-the-less, this type of inspection does help ensure you will not be paying out of pocket to have these items corrected, as long as you act within timeframe of your home warranty. This inspection is one that we do most often. Either you are the buyer of a pre-existing home, or you are about to sell a home you currently own, and you need to have the home inspected. The first thing you need to do is give us a call. We're proud to say that a simple typical run of the mill inspector is not capable of evaluating a structure the way we can. We can bring in a crew to inspect electrical, plumbing, HVAC, roofing inspection, mold, termite inspection, windows, solar, drainage, and other critical factors your TREC inspector can not match. We often laugh at the TREC inspector who appears diligent checking the oven temperature yet totally misses the foundation issues. Folks, you will indeed get what you pay for in this trade. When we leave you will be armed with a report that will enable you to either negotiate on price and or walk away from a home full of latent defects. Let’s say you are the seller of a pre-existing home. The way this will work is you give us a call prior to putting you home on the market. We come out, and inspect your home from top to bottom with leading technology of years of knowledge. We provide you with a detailed report including videos and photos documenting any issues we may have found. If you have a general contractor ready to work on any issues, we can work with your GC to make sure they correctly fix any issues that we found. The best reason for this inspection is you can find, and fix problems prior to putting your home on the market. This in turn will allow you to ask the highest price possible for the home, knowing that all issues with your home have already been discovered and fixed. On the other-hand if you do not get an inspection prior to listing your home on the market, the buyers will also have an inspection completed, and you could be caught off-guard by any issues that their inspector may find. Generally if this happens, the buyer can do one of multiple things. They may simply walk away knowing the home has more issues than they are willing to accept. ​So do yourself a favor and have an inspection completed, prior to selling your home. You are the potential buyer of a pre-existing home. You will need or want, in the case of a cash purchase, to have an inspection completed for your own peace of mind, or for your lender. You will want to know if there are any pre-existing conditions that need to be taken care of prior to you making the purchase or final offer. Give us a call and we will schedule to inspect the home according to your needs. We can evaluate the home with as much rigor as you require. As mentioned above, having this type of inspection will allow you to make some very informed decisions prior to making the actual purchase of the home. Have you ever thought to yourself that your electric bill is much higher than it should be? Well you could be correct, and you may simply be having an energy inefficacy that you are not aware of at the moment. We will send in our engineers to provide an energy audit of your home. We will check every inch of your home for inadequacies that could be costing you hundreds or thousands of dollars per year. Our detailed reports will show you ways you can improve the efficiency of your home, and ways to save energy. Helping you save money, and helping to protect our environment is our number one priority with this type of audit. ​Dallas Home And Property Inspections Are Our Specialty. Trusted Professional Engineers! Dallas Home Inspections are essential for your new dream home. Don’t fall victim of only receiving basic code compliance checks required by home builders and contractors, which often overlook items that will vastly improve the safety and energy efficiency of your home. Seller Inspections: If you are selling your home in the Dallas Fort Worth area you can have the upper hand by providing a full disclosure of information on the condition of your property in advance of the listing process. Our professional inspection service allows you to avoid surprises and unexpected costly repairs that can affect the selling price of your property. Pool Inspections Required. Ensuring that both your pool and spa are in good condition and operating properly can be a pain, but is a necessity for any pool owner. We will provide you with a detailed report regarding the condition of your pool and/or spa according to the State of Texas standards. What Is The Role of A Home Inspector?